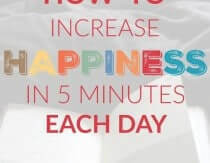 Heather Dessinger 39 Comments This post contains affiliate links. Unfortunately, as the potami get older – and MESSIER – I’ve found myself losing more and more battles to the stain monster. 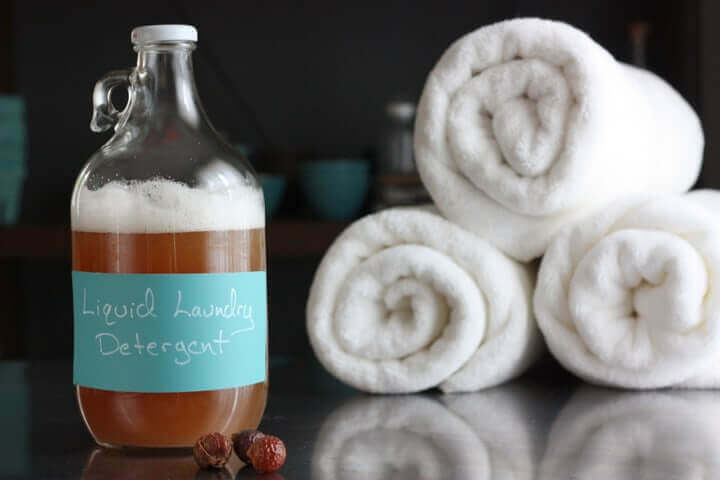 My old stain remover recipe just wasn’t up to the task – especially when it comes to oil stains – so I’ve been testing a few variations with ingredients like hydrogen peroxide, castile soap, glycerin, cornstarch/arrowroot flour, and lemon essential oil. Using the leftovers from my potholder project, I rubbed all kinds of things (ketchup, grass, oil) on several t-shirt strips. After letting the stain set, I sprayed them with several different recipes and then rinsed the cloth in the sink. Formula #3 was by far the best – especially in dealing with oil stains – so that’s what I’m sharing with you today. It’s worked beautifully for me in removing ketchup, oil stains, grass stains, and a few mystery stains. Or maybe the soap works as a degreaser while the hydrogen peroxide lifts the stain and breaks down organic components. I’m not sure. All I know is it works way better than my old recipe! 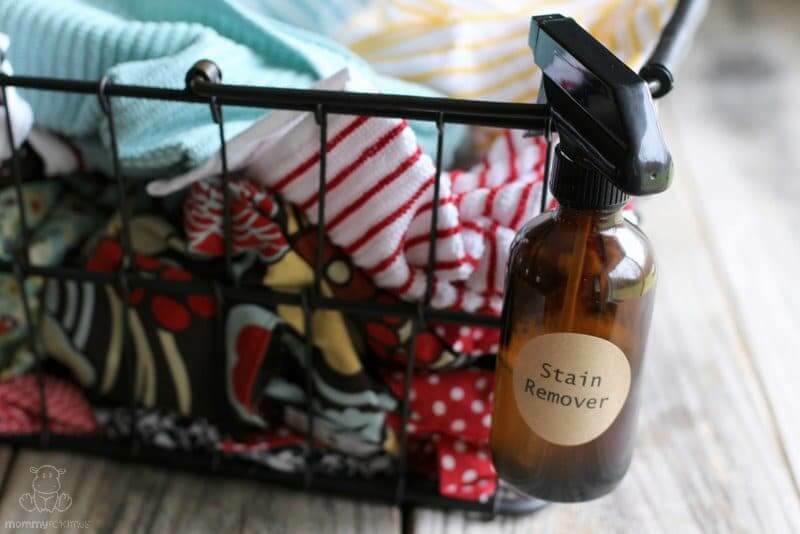 Sometimes, when I have an oil stain that is particularly stubborn, I’ll spray this stain remover on it and then sprinkle it with diatomaceous earth, arrowroot powder or cornstarch. The powder will help absorb the oil from the stain. When you’re short on time, sometimes it’s better to buy a pre-made option so that you can focus on other priorities. It’s pretty challenging to formulate a really clean stain remover. Fit Organic Laundry & Carpet Stain Remover has the best ingredients that I know of but is not great at getting tough stains out. Combine ingredients and pour into a dark glass spray bottle. Hydrogen peroxide is sensitive to light so a dark bottle is essential for maintaining potency. Shake well, then spray stain remover on the affected area – do a patch test first if there is any concern about colorfastness. I sometimes allow it to sit for about 5 minutes, then rinse while rubbing/scrubbing the fabric, then reapply and repeat until the stain is gone. Other times, I just spray it on and just throw it in the wash. I am so excited to try this! I have Oxiclean spray since I read you say before that it’s safe, but that doesn’t always cut it and oil stains are definitely our most common. Probably a bigger problem for real food families 🙂 Is there a secret you’ve found for newborn yellow poop stains? I have found that soaking the yellow newborn poop stained shirt in Oxiclean always gets it out. What I do is one full scoop of Oxiclean to a bowl of hot water( I think the bowl I generally use is a 16-20 cup bowl) and then let to clothes soak overnight or longer. I normally have 5-6 shirts(sometimes more) in the bowl at one time. I have always been able to get the stain out even in my sons white onesies. I think the oldest stain I’ve gotten out was 2-3 weeks old, from a white onesie. In my experience… I sprayed the yellow poop the same day & then sprayed again before it went in the wash & it totally got the stain out completely. If there was a slight shadow, I would spray again when wet and it came out in the next load of wash. Hanging nappies on the line gets rid of yellow stains from babes! Oil stains you say. 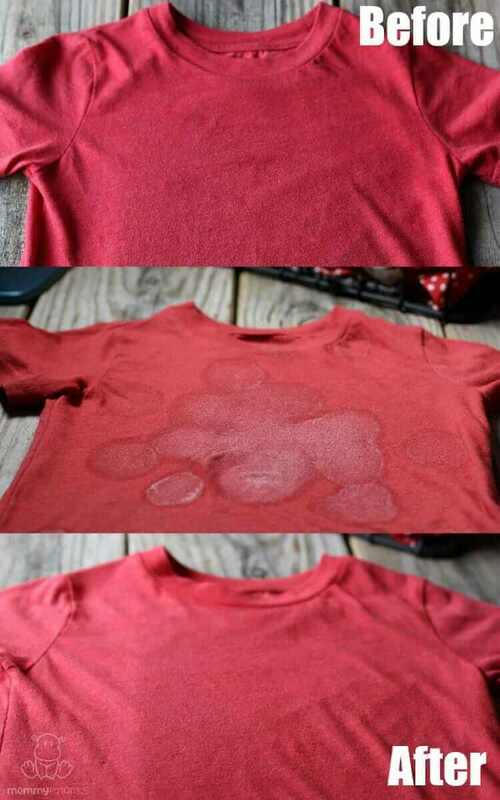 Must try on homemade deodorant underarm shirt stains. Is the lemon essential oil necessary or just for fragrance? I’m going to try this! Right now I’m using Bac-out and dish soap, which works pretty well for a lot of things but I still have some stubborn stains that I can’t get rid of. Thanks! I’ll be pinning this. Have you ever tried Dr. Bronner’s SalSuds? I read somewhere that it was good for greasy laundry stains and I just ordered a bottle from Thrive. SalSuds is our go-to dish soap and hand soap! I’ve had success on new stains by scrubbing it in with an old toothbrush then washing immediately. Check Amazon. I’ve gotten the blue sprayer bottles from there. Hi,I’ve read that eucalyptus essential oil is a good to use in removing oil stains. I have used Dr. Bronner’s ‘Sal Suds’ for a good year now, and it does work well for some stains. I mostly use it for my hand-washing dish-soap… but it is rather. HARSH on the hands. Gloves and an excellent hand lotion are a must. Also, Jen: I have used ‘Desert Essence Tea Tree Face Wash’ for years now, for stubborn stains such as old blood and ink pen. It is MARVELOUS! I use a toothbrush to gently scrub, and cold water to dampen the fabric first. I will rinse with cold water, and re-apply, scrub, repeat. My biggest victory was an old blood stain on a heavy weight TaeKwon Do uniform (my son is an instructor at a local studio). One of my son’s old instructors mentioned that he had gotten some blood stains on his ‘Tournament Uniform’ a YEAR PREVIOUS, and didn’t think he would ever get those stains out. I asked him if I could try. He got the uniform to us the next day. Over the course of the day, using MOSTLY the Desert Essence Tea Tree Face Wash (there is a black trim on this white jacket, and I didn’t dare use bleach, as one of the blood stains was within a half-inch of the black trim)… I scrubbed gently with the face wash and cold water, let it set for a few minutes, rinsed, re-applied, etc for an hour or so (while doing other kitchen tasks in between), and at the end, the old set-in blood stains were completely gone. I’ve used this soap for years for tough stains. (I haven’t had much luck using it on old oil stains, though, so I intend to make your ‘Homemade Stain Remover’ in the next day or two.) I no longer use the Desert Essence. face wash on my face – although my crunchy, green daughter does and swears by it for adult acne – but I’ve been waiting for an opportunity to share how well it works for those really tough stains. Blessings! Love your blog, Jen. God bless and keep on keeping on!! Oh my gosh I love that soap! It literally desensitized my overly sensitive face and ended my acne! That’s much of the tea tree oils doing. I bet it’s good for stains too! Another thing that’s good for acne too is the oil cleansing method. I rub jojoba, hazelnut, tea tree, and lavender on my face and then steam it with a washrag a couple of times, and wipe it off. It cleans so well sometimes I still moisturize. Very gentle to the skin. Now I get breakouts if I use soap lol. Great to know about the dessert Essence soap. I’ve loved that stuff for over a decade! So you have any recommendations for an ink stain that was washed and dried before I saw it? Also, ‘mold’ spots. I have no idea how 2 shirts got them, but I can’t get them out and I’ve tried everything from Oxiclean to peroxide straight. My last option at this point is bleach and one shirt has a color on it. I look forward to trying this! Thank you! Do you this detergent on cloth diapers? I’m trying to determine the best detergent (that doesn’t break the bank) to use on cloth diapers. What do/have you used for cloth? Oops, I meant to post this to your powder laundry detergent post! Heather, I clicked over to the lemon essential oil on Amazon. I looked at a few of the Plant Therapy lemon oils, and the organic one is $20, while the non- organic ones are $8 and $10 (one is cold- pressed and the other is steam-distilled — which is better??). I usually prefer organic everything, but given the price difference, I’m wondering if organic is necessary in this case since I’m only going to use it in this stain remover recipe and in the homemade dishwasher powder. Your thoughts? 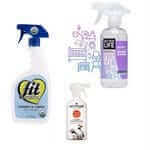 Hi Tara, I prefer to use organic because I also diffuse it in my home, but the non-organic would be fine for cleaning. Cold-pressed is vastly better than steam distilled Essential Oils. The cold-press method doesn’t destroy active ingredients where the steam distilled does. The same principle applies to edible (like olive oil) and carrier oils such as almond. Cold-pressed fragrance oils hold their scent longer and it is a truer scent but if you use them rapidly and not for a face or body lotion that isn’t used up quickly, they work wonderfully. 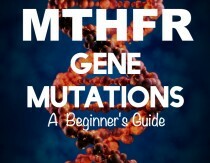 Mountain Rose Herbs has more comprehensive information on this issue on their website. A couple more questions… 1) does the stain remover leave the smell of lemon on the clothing? I’m sensitive to fragrances, even essential oils, so I need to know whether the scent remains in the fabric. 2) do you think a non-toxic dishwashing liquid would work as a sub for the soap+lemon? Then I could avoid the fragrance issue. 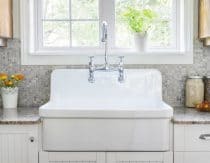 It doesn’t leave any scent behind but, yes, you could use a dishwashing liquid. Would lemon juice work instead of the oil? This will take care of baby poop stains over multiple washes, the stain just fade a bit more each time (with just spraying and washing). I just made my second batch, it’s pretty terrific! All my baby clothes are white or very light in colour. After washing, I hang the clothes out to dry in the sun. After an hour or so, any poop (or breastmilk) stains are gone! On the rare occasion that there is a stain still visible, I spray it with a little lemon juice and put it back in the sun a little longer. I’ve never had any issues with yellow poop stains. The power of the sun is amazing!! Note: I live on the west coast where it usually rains a lot, but I make sure to take advantage of those sunny days (or hours). PS: Anyone know how to get out banana stains? They are the worst in my book! If something gets banana on it, I am always 99% sure I’ll never get the stain out. What size bottle? Do you top off with water? Can you use this as a spray to clean countertops? I’m looking for a peroxide recipe to clean house with. 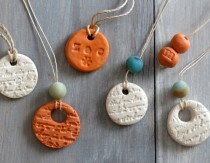 I made this but I used Ajax (orange) dish soap instead. It worked just as well! It even took out a set in cooking grease stain! I think Dawn is over rated! 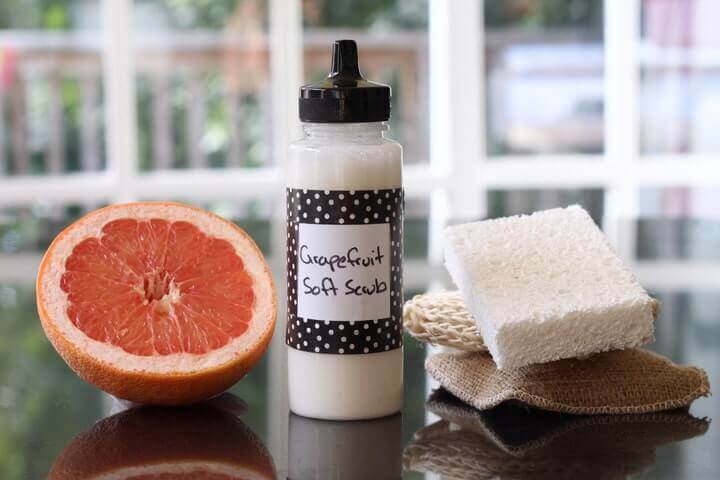 Ajax works just as well in all homemade cleaning products and it’s much cheaper too! hi! what size bottle is in the picture? 4oz? thank you! How long can the solution stay in the bottle to guarantee effectiveness? Hello. 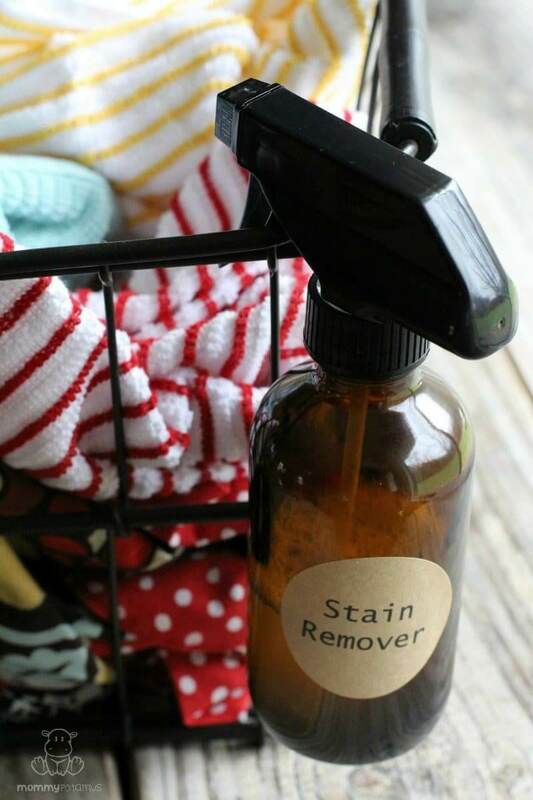 I have made and use your Stain Remover and LOVE it. I have it in a dark bottle. Every once in awhile, when it I sent just sitting on the shelf in the laundry room, I will come in to find it has bubbled out and over. Can you tell me what is causing this? Thank you. Me too! My bottles always bubble out! Hoping for a trick here. I’ve used several different bottles and I always have this problem. For fresh urine distilled vinegar is the best to get rid of the smell, but it does NOT work on old set-in stains. Neither did the rubbing alcohol trick. The crazy simple solution? Mix a FRESH batch of 3 parts hydrogen peroxide to one part baking soda and add ONE DROP of dishwashing liquid. That’s it. Crazy simple stupid, but it was literally the ONLY THING THAT WORKED! It must be made fresh when needed. I think the tiny amount of dish soap works the same way a natural insecticidal soap works – it breaks down / loosens the fibers so the hydrogen peroxide / baking soda can penetrate the stain. The amount is so small it does not suds up much at all. Some people put it into a spray bottle, but it clogs easily. I mixed it in a small cup and just rubbed it in with my fingers. The baking soda separates from the hydrogen peroxide very quickly, but returns to a suspended solution right away by stirring. Just rub it in, let it sit for a while and after a while there will be a residue of baking soda on the stain. I then used some hydrogen peroxide to dissolve the dried baking soda out, and the stains were GONE! Then toss in wash as usual. I think this works on old blood stains to. There was a non-urine stain that I assume was blood and the peroxide-soap alone only lightened it. This baking soda mix removed it completely.